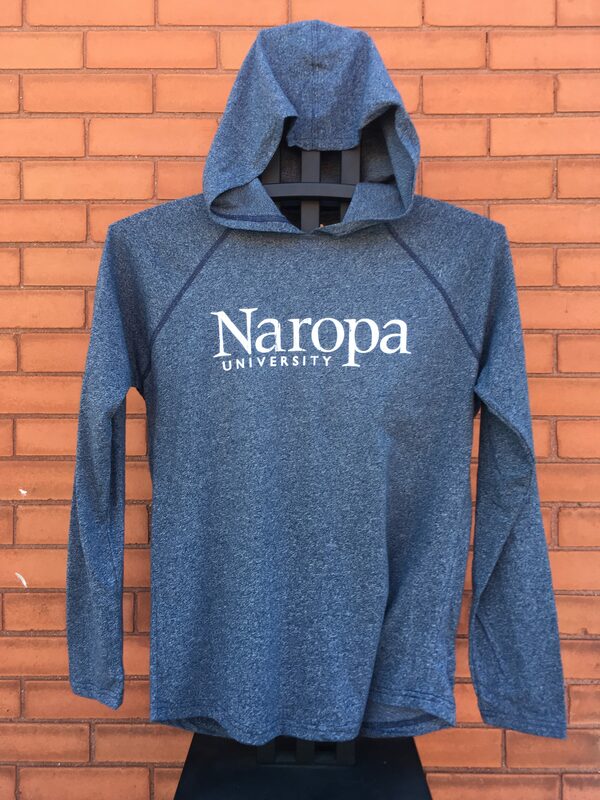 Click the link to go to our page for the item. 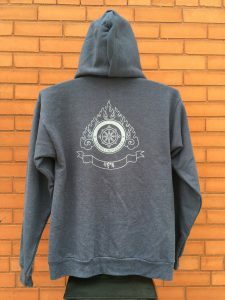 If shopping for more than one item, click the back button to return. To go to the Shopping Cart, click HERE. 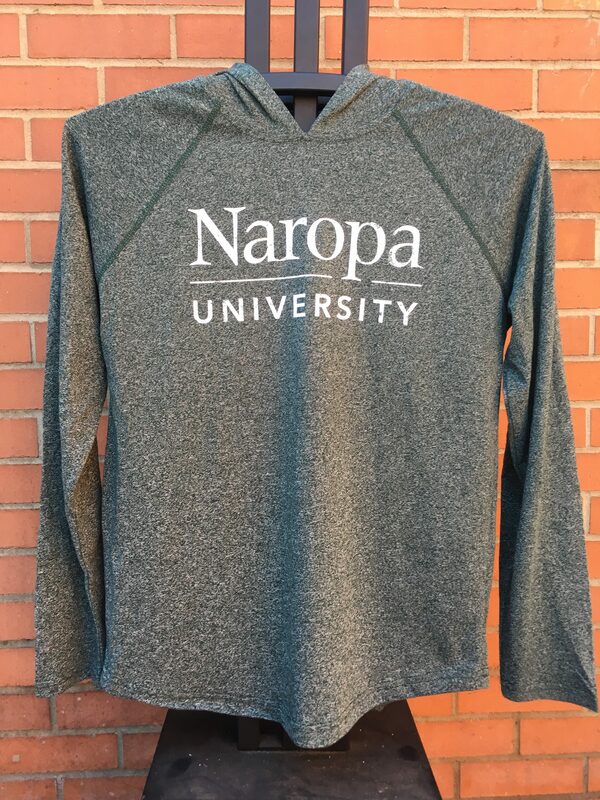 Soft knit blended cotton long-sleeve sweatshirt with the distressed Naropa University text at the upper left chest. Features a hood with drawstrings at the neck and a full-length zip front closure along with two fleece-lined front pockets, finished with banded hemline and sleeve cuffs for a perfect fit. 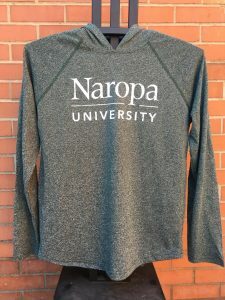 Soft knit blended cotton long-sleeve hooded pullover with the distressed Naropa University text centered on the chest. Featuring a diagonal raglan sleeve seam and a rounded hemline for a sportswear look.